An Innovation. A Replication Model to Address Human Trafficking, the Impulse Model was the result of a long train of efforts, failures, successes and partnerships. 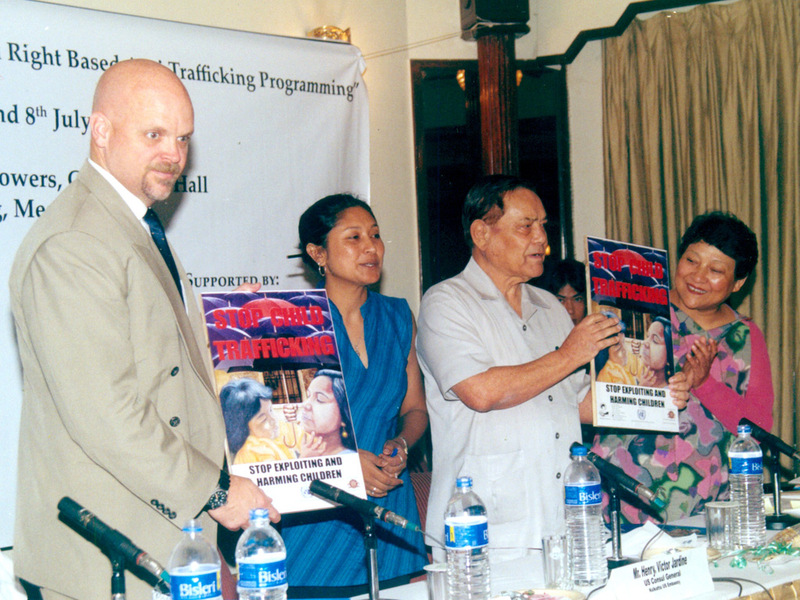 If it had not been for either, a foolproof formula to address human trafficking would have been impossible. In 1999, the Indian government’s ban on use of timber drove communities who depended on the forest resources to unemployment and mass migration to urban areas for work. Even children were getting employed as domestic or industrial labour. Teashops mushroomed at state borders and kids employed as helpers, would often disappear from there. Once gone, these kids never came back. We came to know this when we first started helping these rural communities earn a living. Suspicious, we conducted an assessment study involving the available working children to find out what was exactly happening. They told us that, men from others states came, recruited some kids and took them away. That this was human trafficking, was confirmed at the National Action against Trafficking & Sexual Exploitation of Children (ATSEC) Consultation in Kolkata. We sent hundred letters and mails to ATSEC and non-ATSEC partners across India, informing them about our organization, culture and location and facial features of children from the Northeast, so they could help find the children. We also shared a separate assessment on girl child trafficking from this region. Consequently, two girls from Meghalaya and one from Tripura were rescued and repatriated. In due course, we realized the need for several other stages in reinstating these children back in society. We trained the government departments, law enforcement, medical professionals, judiciary, education department, NGOs and others in the handling and sensitivity of human trafficking cases. I noticed that this kind of intervention had formed an invisible structure. When I highlighted the basics of this structure delegating different tasks to different stakeholders, I got a model built on collective participation and cooperation that could effectively arrest human trafficking. This became the Meghalaya Model currently known as the Impulse Model. The Impulse Model is an internationally acknowledged holistic approach to combat human trafficking on a global scale. It involves different departments that can empower the goal in a significant way. The Model stands on 12 pillars. The six Ps – Partnership, Prevention, Protection, Policing, Press, and Prosecution. All the concerned stakeholders would need to Partner with each other and share information and resources in order to Prevent and Protect. 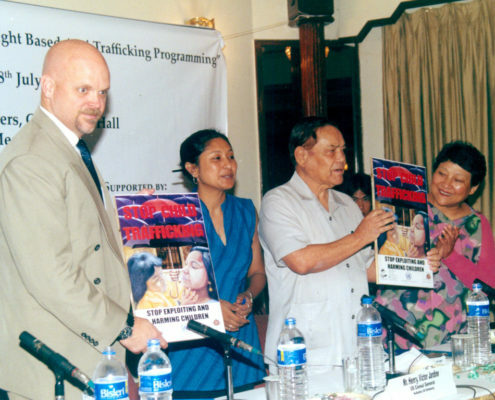 The Press would need to create awareness against this malaise, which would trigger Reporting a trafficking incident. Policing would have to be both stern in catching the culprits as well as soothing in handling the survivor. After Rescuing, the victims would need to be handed over to civil organisations and social welfare department for Rehabilitation. The survivors would need to be further Repatriated to their homes, helped with education or training to Reintegrate into society and also Re-compensated with financial assistance, so that they can start afresh. Around the same time, the judicial authorities would need to Prosecute the identified culprits to set an example of justice. Human Rights issue intervention works only when there is equal distribution of responsibility. At Impulse NGO Network, we know that ineffective and clueless involvement of the participating teams could result in duplication of the same job and hence wastage of resources; victim endangerment notwithstanding. Real impact happens only when the best team to do a particular job is actually doing the job. In this regard, the Impulse Model is effective because it allocates the portfolios of a human trafficking case to different stakeholders, based on their expertise and resources. It does it, with the help of two supporting structures. ICIC records, compiles and keeps track of all relevant information on human trafficking cases and ensures their proper management. 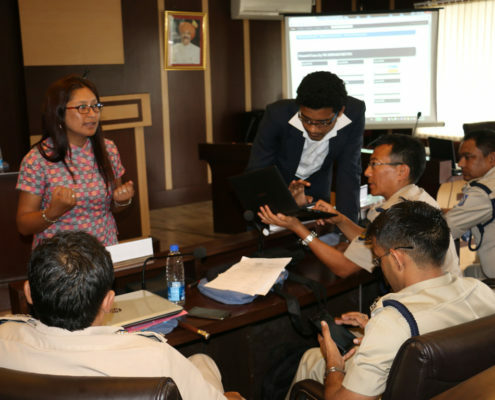 It has a case database system that continuously shares information with the Anti-Human Trafficking Units (AHTUs) set up by the Government of India as well as with other partners. This has increased reliability and efficacy of response. 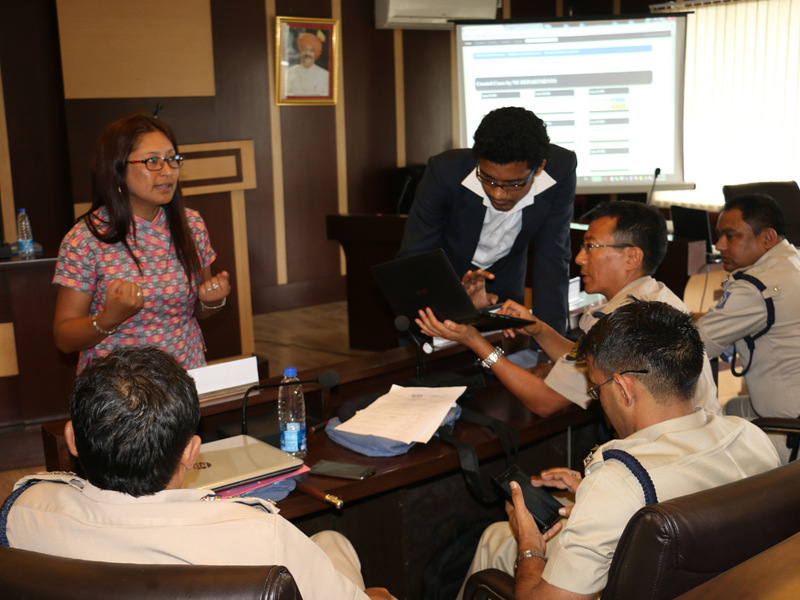 It provides training to the law enforcement agencies and partner organizations on rescue operations as well as on victim-friendly and gender/child sensitive approach. It provides a legal support network, livelihood/vocational training, counselling and medical care to the survivors. It collaborates with the State social welfare departments (or even a government-notified NGO-run shelter home) to provide short-term shelter for the rescued. It also helps in repatriation of the survivors back to their family home; unless there’s nowhere to go to, in which case, it collaborates with the Social Welfare Department to arrange long-term accommodation. To ensure non-duplication and inconsistency of reportage, the Lab issues press releases and assists on human interest reporting with authentic facts and statistics, quotes and comments, consistent with the data received through our research and action. It helps the media report with confidence. Before the Impulse Model was envisioned, there was no orderly manner of tracking and rescuing a human trafficking victim. 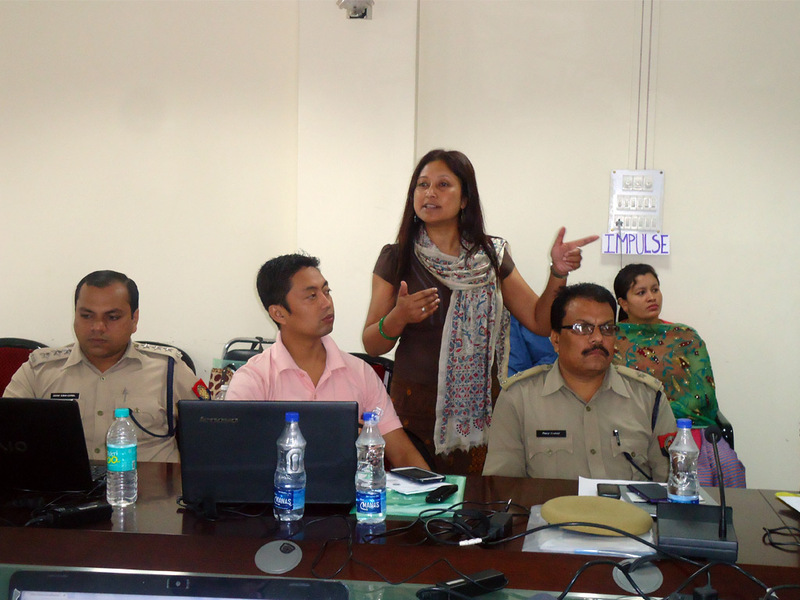 I had worked out the variables keeping Meghalaya in mind, because that was my immediate station. But gradually, through our participation against human trafficking at national and international levels, the Impulse Model was gaining recognition. In 2006, I was selected for the Fellowship of Ashoka Innovators for the Public. Then in 2012, Impulse Model won the second prize in GDN’s Japanese Award for Most Innovative Development Project category under its Global Development Award and Medals Competition. It also entrusted me to scale the Impulse Model to our neighbouring countries to see if it worked for them. And fruitfully enough, it was adopted in Nepal, Bangladesh and Myanmar. For the past 15 years it has been replicated in all the eight states of the Northeast and recently in North Bengal and piloted for national replication in India. Several other countries have also expressed interest in learning about the Impulse Model and are contemplating its usage in their fight against human trafficking.